It used to be in order to find a Banh Mi sandwich in Wichita you had to travel to midtown, but now with the recent opening of Banh Mi Ngon things have changed. This small eatery, located at Central and Woodlawn, specializes in the delicious Vietnamese sandwich as well as serving up in-house pastries and drinks. The dining room, if you can call it that, has the feel of a small coffee house. There are plush couches and chairs, just a few tables, and Wifi. It is a perfect space to relax, enjoy good food, and perhaps get some work done. 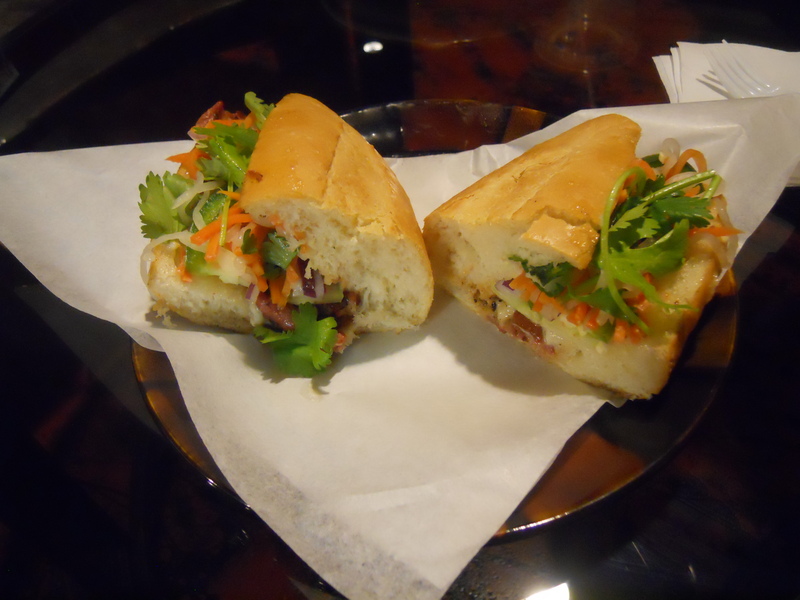 The menu centers around Banh Mi, the traditional French influenced Vietnamese sandwich. There are several different sandwiches offered with meat options that include beef, chicken and pork. Each sandwich comes with jalapenos, sliced cucumber, cilantro, carrots, and Vietnamese mayonnaise. Homemade French baguette is the vessel by which all these ingredients are conveyed unto the diner. In addition, Ngon offers croissants stuffed with cream cheese or chocolate, a savory pastry called a Bird’s Nest with sausage, onion, cheese, and shredded chicken, spring rolls, and a daily special. chocolate filled croissant ($1.99), and a glass of their homemade soy milk. I was impressed with the quality and quantity of the ingredients in our sandwiches. The veggies were fresh and crisp, while the meat was tender and lean. I was especially impressed with the ham that had small pieces of pickled pig’s ear mixed in. For the less adventurous I recommend the glazed pork Banh Mi. The sweetness of the thinly sliced pork balanced nicely with the jalapenos. The baguette was appropriately sized as to not swallow up the filling of the sandwich, and while it was high quality bread I would have liked it to be crustier. 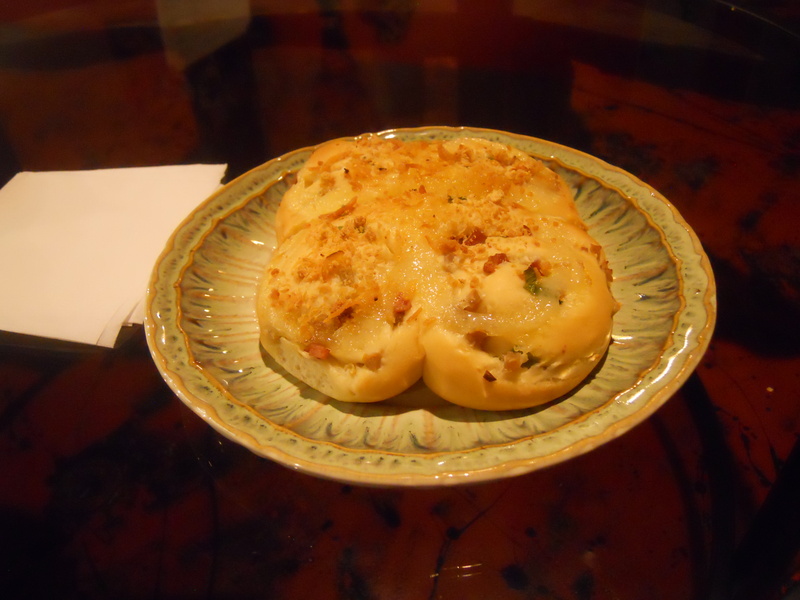 The Bird Nest pastry used the same bread as the baguette and was a delicious snack. One could make a killing selling these outside of bars at two in the morning. As for the dessert croissant, it was amazing. 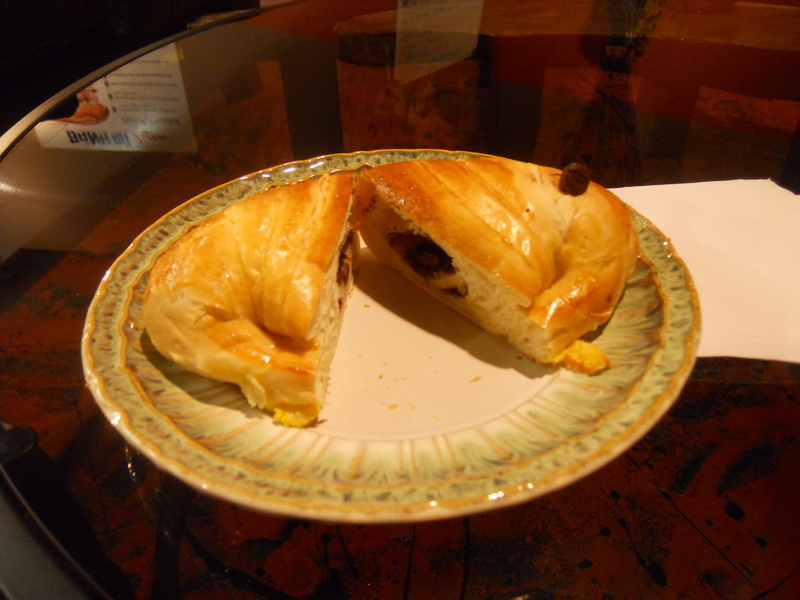 You really can’t go wrong with a good pastry filled with semi-sweet morsels, although it was not as flaky as I like. The homemade soy milk had a hint of ginger to it and was refreshing. Banh Mi Ngon is a counter service restaurant and our server/cashier was very helpful in explaining the menu and offering samples. The prices were reasonable as our total meal was under $20. For those you with small children there are no high chairs, so carryout is probably your best bet. Wonderful, fresh, tasty food every time!